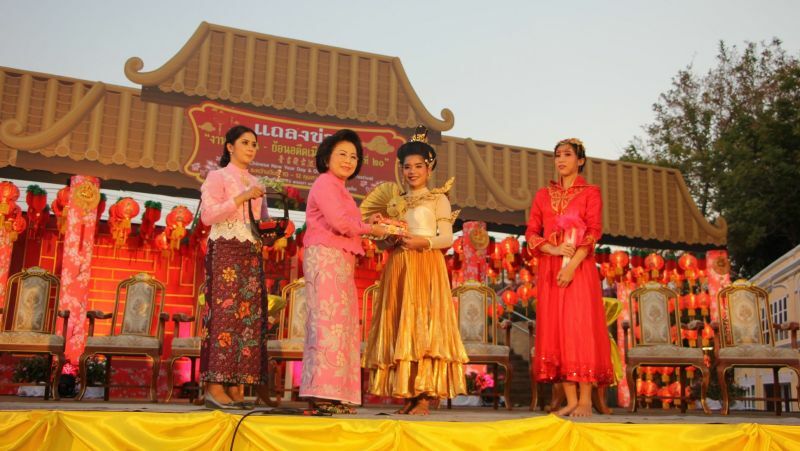 72nd Anniversary Queen Sirikit Park on Thalang Rd was awash with reds and golds – even more so than usual – on Feb 10 as Phuket Governor Phakaphong Tavipatana welcomed locals and tourists alike at the opening of this year’s Phuket Old Town festival. 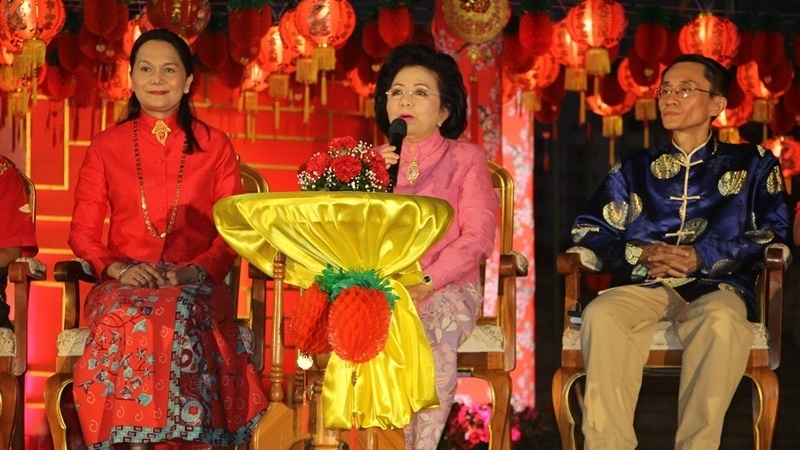 Phuket Town Mayor Somjai (centre), herself from a long lineage of Phuket Town Chinese, led the proceedings. The festival, which celebrates Chinese New Year and Phuket’s cul­tural identity, is in its 20th year and has become a major event in the island’s calendar. The evening saw parades, dance performances from Kai Kaew theatre, musical puppet shows, storytelling and the worshiping of Guan Yin (Goddess of Mercy), an ancient Phuket tradition, at the renowned golden dragon statue. Governor Phakaphong thanked the cultural departments that have contributed to the preservation of lo­cal culture and traditions of Chinese Thais, acknowledging that their ef­forts have sustained the festival for 20 years. The Chinese Thai influence can be found on all corners of Phuket Old Town but let’s focus on the themes of this year’s festival: architecture, cloth­ing and food. The striking Sino-Portuguese style buildings in Phuket Old Town reflect the early settlement by the Chinese and the subsequent arrival of the Portuguese during the tin-mining boom. The first of these buildings was constructed in 1903; the Portuguese settlers employed Chinese workers to build them, giving rise to the hybrid architectural style. The key architectural features of Sino-Portuguese properties are almost identical to those of European build­ings, such as label stops, cornices, window shutters, central courtyards to let in natural sunlight and beautifully decorated floor tiles. The walls are usually partly decorated with ceramic tiles and the interiors furnished in a Chinese-style. The Peranakan community, also referred to as Baba-Nyonya, are the de­scendants of Chinese immigrants. They are said to have accumulated huge wealth from tin-mining business. Most of the time, they dress just like other southern Thais, but they have pre­served their own traditional clothing style which is worn on important occa­sions such as weddings and festivals. Baba men have long eschewed Chinese-style clothing in favour of fashionable modern suits. Yaya women, by contrast, have preserved a modern variant of the traditional sarong wrap-around tube skirt and the elegant kebaya blouse, ta­pering at the waist and flaring over the hips. There is even a specific Phuket style of kebaya, noticeably lacier than those worn by Nyonya women in Singa­pore and Malaysia. However, more recent times have brought food from other foreigners, such as Europeans and Indians, who have come to live in Phuket. In turn, these cuisines are assimilated, eventu­ally becoming traditional.